originally this quilt was going to be a "turning twenty" quilt. but it's impossible to pick just 20 amy butler prints, they are all so lovely. plus, i knew i wanted it for my king size bed. 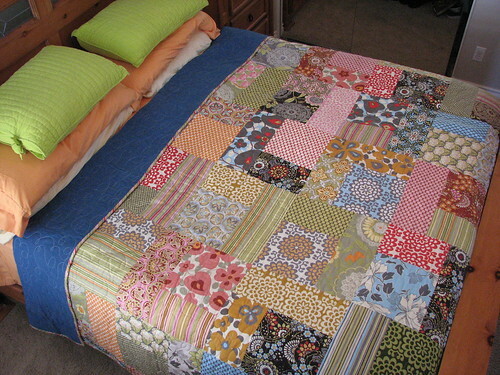 (mind you, this is only my second quilt! i must have been insane when i decided to tackle this project!) so i added an extra row or two... and ta da! my quilt is finished & just as beautiful as i imagined. every time i look at it i smile! it's so bright & cheery how could you go wrong?